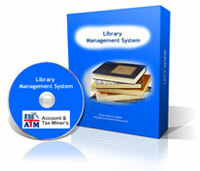 Books Inventory Add / Modify Module. Books Issue / Receipt Module. Books Group Master Add / Modify. Student Books Issue Card Record. Books Issue to Student Card Record. Books Recovery from Student Report. Books Amount Recovery from Student Report. Discard Books Stock Report / Discard Screen.